No computer access? Easily fill out your Form from your mobile device using the FREE Adobe Reader app. 2. Tap the icon that looks like a speech bubble behind a pen. A new menu will pop up. 4. Once that icon has been tapped, you need to tap on the document where you would like to sign. 5. 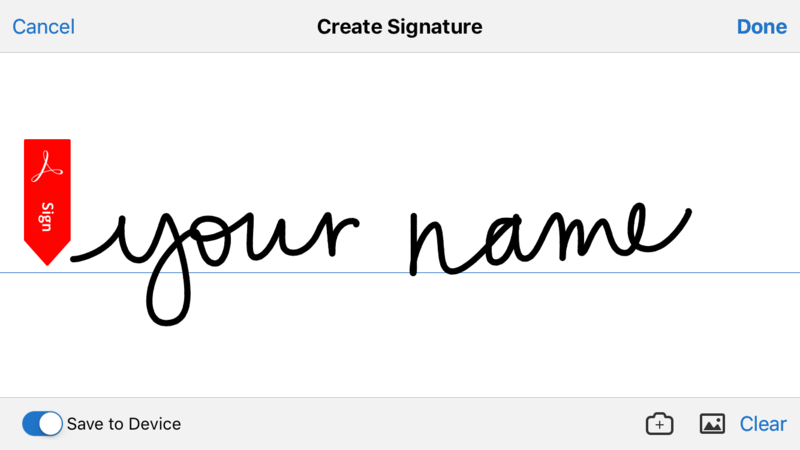 If you have never signed anything before, you will be taken to a screen to create a signature. 6. Sign away using your finger! 7. When finished, press the check box (or select “Done”) and your signature will be added to the PDF. 8. If it’s not in the correct place, that’s OK, feel free to tap on it to move it to a new spot, resize, or adjust color, opacity, thickness. You can delete it as well. 9. With your signature in place, hit Email Form. 10. You will be brought to your email account. 11. Enter any other email information you want. 12. Hit send and your form will be sent directly to our ready and waiting dispatchers!